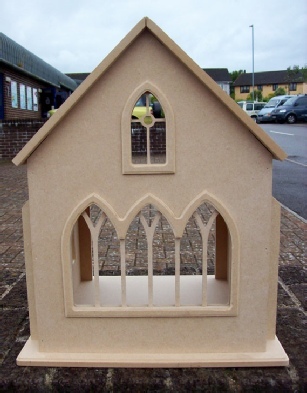 For enthusiasts who do not have the room for a full sized 12th scale building we have designed a altar display. Ideal for making your own bridal display etc. Using the latest CAD/CAM software all joints have either been grooved or rebated to enable the altar display to be easily assembled. 2 mm gap to allow you to fit your own stained glass .